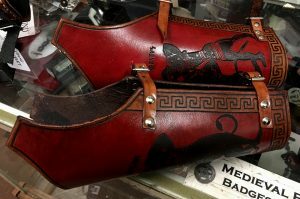 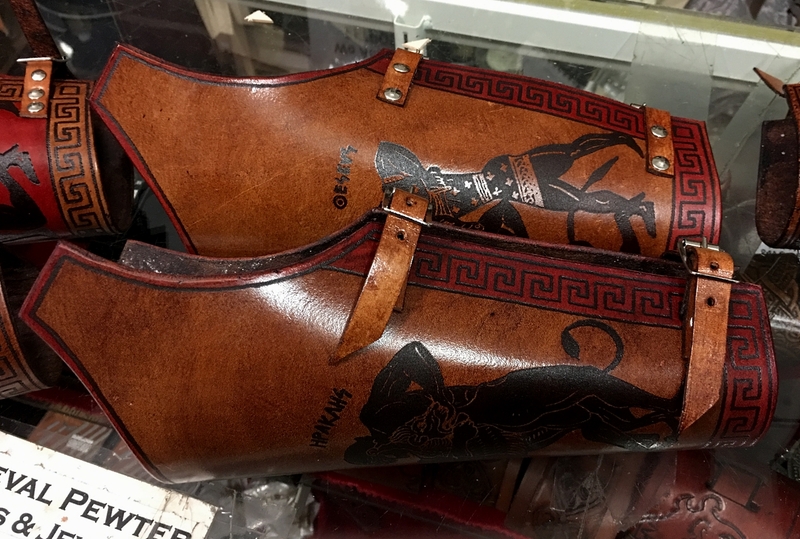 This week sees the release of the next range of hand-made leather armour – historically themed leather bracers. 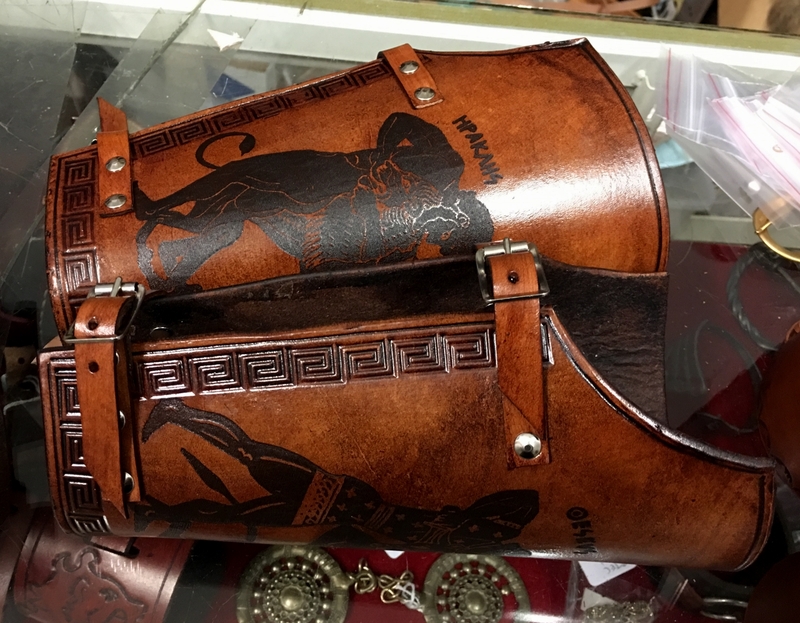 The first from this range are three types of Greek-styled bracers inspired by the black-figure pottery of the first millennium BC. You can find them at our Etsy Store.